The first Gluten Free Supermarket in the region is here!! 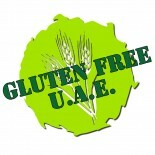 I am so exited to be the first ever customer of the www.glutenfree-supermarket.ae ! I have been given special access just for this first shop! The site is easy to navigate with a nice layout, there are some recipes and handy tips throughout the site, but this is offcourse not what I am here for today, I want food! First stop, the Bread section. I happily click my way through it until I realise that I have spent almost 300 dhs, I remove some of the items thinking I must save some for the masses. The bread selection is good, better then in any of the super markets, and there is yeast free bread too for those that need it. You can click on the picture of a product for more info about it, or click straight on the basket to add it to your shopping. All nice and smooth. I move on to the pastas and am happy to see so many of the DR Schär pastas – the kids favourite. Its good to see so many pasta sauces too. I swiftly move on between the categories and am pleasantly surprised to see cooking sauces (that I used to go to 2 different shops to get) and cereal (that I used to have to go half way across Dubai to get) and some new products that I cant wait to try. The Glutenfree supermarket has all the staples in one place, hopefully over time – and with our support as consumers – there will be more products available. I know that the owner Katinka, is more then happy to take requests (She is probably tired of me emailing her suggestions already). There are 3 more major brands being added shortly, and every request I have made so far has been looked in to or has already been added to the shop (yay for lollipops!). Shipping is available all over the Middle East, great news for those living in more remote places. I am done for this time, checkout – once you have created your account – is pretty straight forward with several payment options, including cash on delivery. I like that I am given the option of picking up my own items and not having to pay the delivery charge (especially as Im only down the road from the office). This entry was posted on 12/01/2012 by glutenfreeuae in Reviews and tagged glutenfree, shopping, supermarket, UAE.